Bee Art Glass Box - Three glass design with bubble glass on top, pressed floral glass for the sides and iridescent glass on the bottom, it's a beautiful work of art. 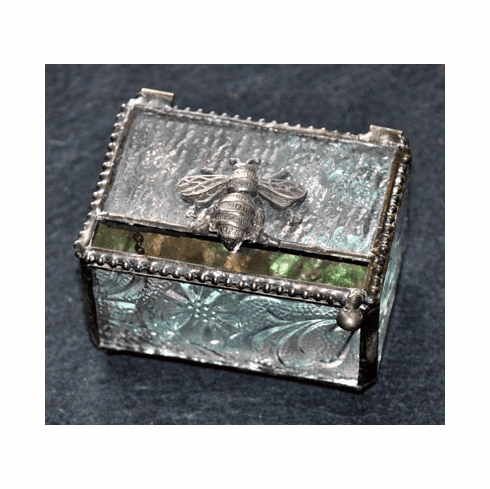 Adorned with a detailed pewter bee, a beaded edge around the top and a chain catch to keep the lid open and upright. Gift Boxed. Measures 3"L x 2"W x 1-1/2"D.